Confession: I’m a bad political science graduate. I like to think that I know a little bit about some things when it come to former presidents, but apparently I was wrong. Although I knew about Teddy Roosevelt as a politician (reformer, ran for a third term, had a stuffed bear named after him), I had no idea that he was also a naturalist and explorer. This is pretty shocking to me because, as it turns out, these qualities made Roosevelt who he was and River of Doubt is all about his “other” side. River of Doubt is about Roosevelt the explorer, not Roosevelt the president, although it is hard to entirely separate the two. 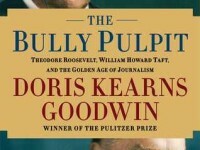 It starts out following Roosevelt’s defeat when he ran for third term as a third-party candidate, thus knocking his own party out of office and making him a social pariah. An avid naturalist who always dealt with emotions by pushing his body to the limit, he decided to recover from his new social position by sailing down the Amazon River. Not one to shy away from spontaneity, he ends up on a journey that takes him down theRiver of Doubt, a previously unexplored river that boasted dense forests, dangerous animals, and natives that would likely want to kill them. Not afraid of death, Roosevelt had no problem with an excursion that could very possibly kill him. 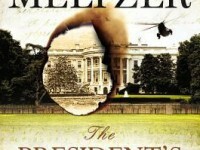 This fast-paced narrative fiction is, quite honestly, impossible to put down even if you’re not a fan of presidential biography-type books. In addition to Roosevelt almost dying on the trip, another is murdered, one dies, and Roosevelt’s son battles malaria for the bulk of the trips. When you add in the lost and destroyed canoes and the gross underestimation of supplies that left the men nearly starving,River of Doubt is as riveting as it is anxiety-inducing. There are three things I really loved about the writing in this book: the character descriptions, the interactions between Roosevelt and the other members, and the care given to describing the Amazon itself. In addition to getting to know the members of the expedition, the author does a great job of highlighting the future successes of those who went on to do great things, as well as how their experiences on the Amazon contributed to them. She is also very careful to separate the politician from the person, with the person being incredibly well-respected for his hard work and refusal to accept any special treatment, oftentimes putting in more grueling work than the others. Lastly, it’s fairly detailed when it comes to describing the Amazon and its creatures (hint: don’t Google every odd-named creature, such as the four-eyed fish). It’s actually fairly fascinating to read about how the entire system works together to thrive and survive, with trees that offer ants shelter from the rain and vines that don’t need roots to grow. There was one particular section that was so interesting that anyone interested in the environment should read for its own sake. Recommended for: History buffs, fans of presidents, and readers of accounts of fated expeditions. Are you a history buff? What’s your favorite?